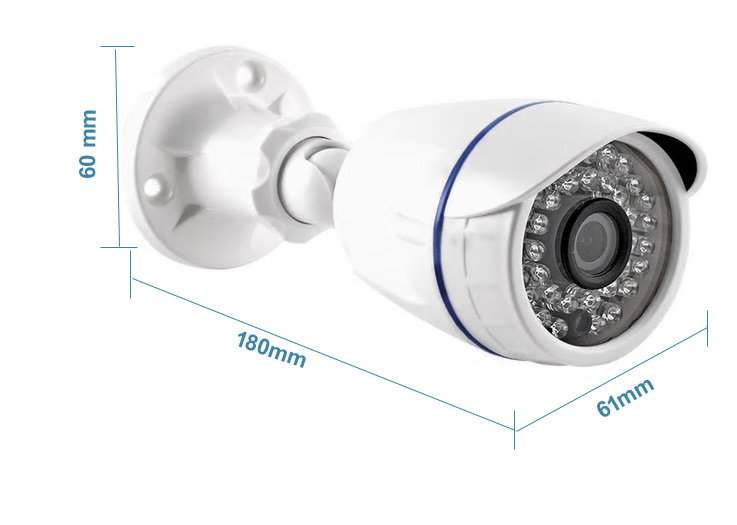 – The DVR is super 5-IN-1 dvr , support TVI/CVI/AHD/Analog/ONVIF IP Camera all the same time. 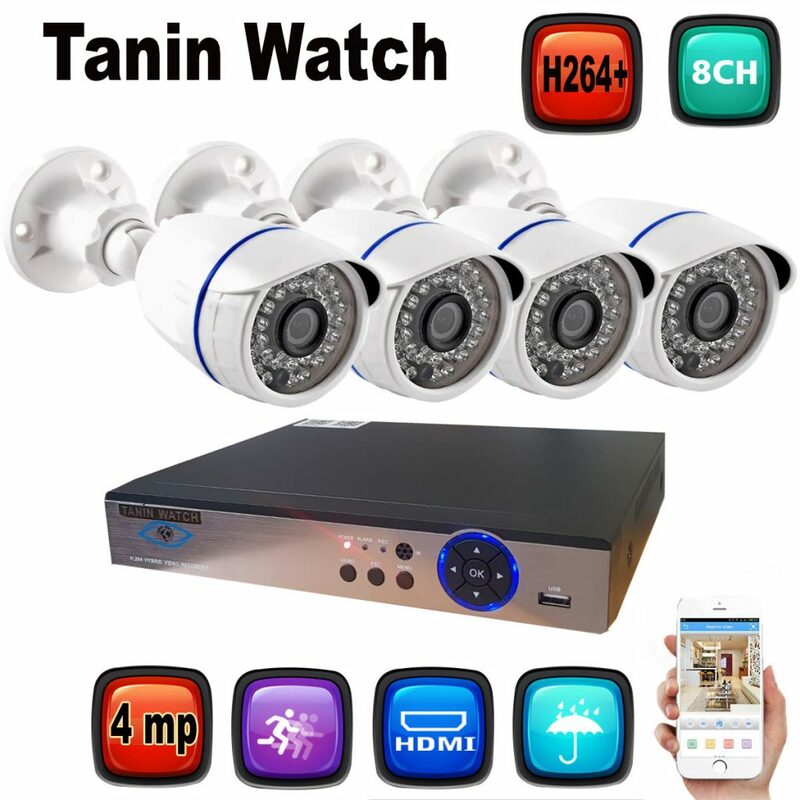 – 4mp DVR can provide true color high definition image. 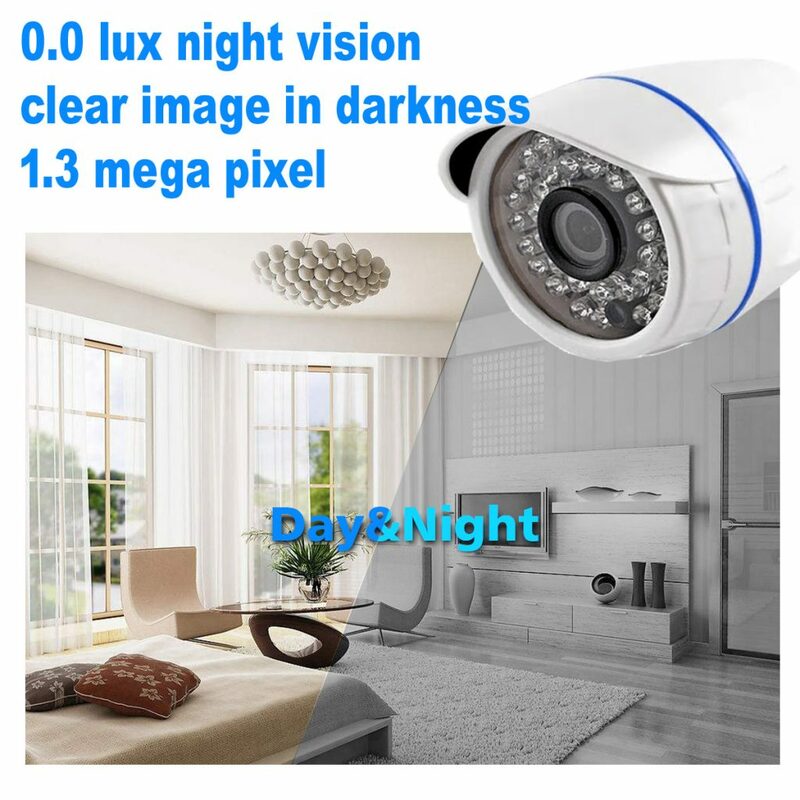 – 1.3 mp 720p 1080 p Resolution camera provides clear and accurate video footage both day&night. – 3D IR-CUT filter provides true color image during daytime IR LEDs privide high quality B / W picture. – IP66 means this camera is suitable for outdoor locations. – Excellent material of metal shell ensure its waterproof and vandal proof provide you a convenient and safe life. – Backup Via USB Drive MOBILE APPS AND computer software cms (free). 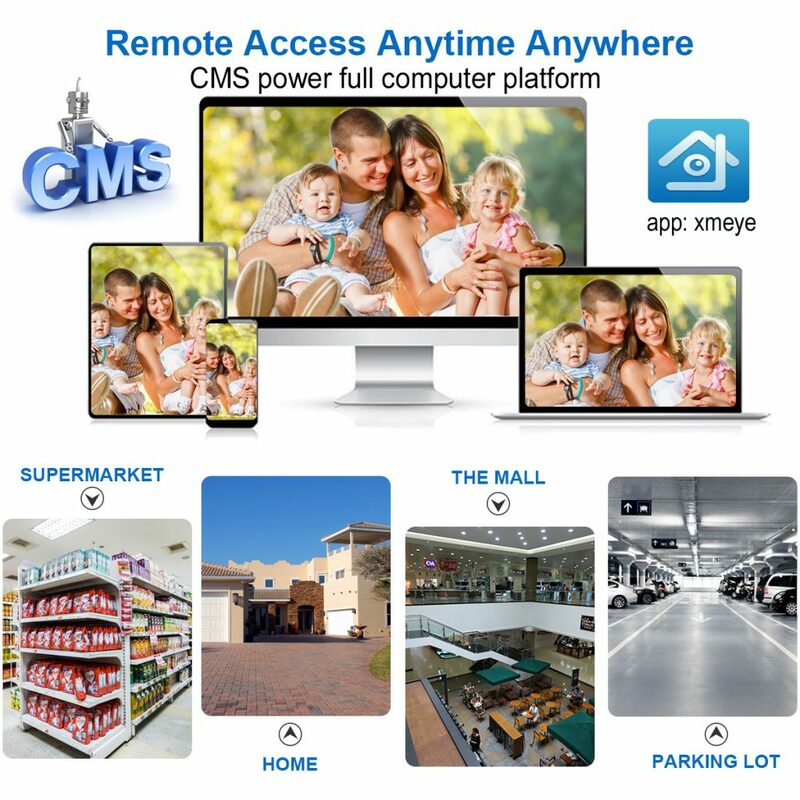 Remotely activate and View Via the Internet from anywhere and anytime. – Support Capture and Record in your smart phone. – You are better to use seagate or west digital brand hard drive , it is more compatible with dvr , support up to 8 tb hdd.